Max Height: 64.2", Min Height: 4.9"
The SLIK Pro CF-633 Tripod is constructed from carbon fiber to maximize durability while limiting weight. It supports up to 6.6 lb and measures 21.3" when folded. Each of its 3-section legs features an independent spread, a 3-position angle lock, twist locks for rapid deployment, and rubber feet help to enhance stability on a wide variety of surfaces. The included push-and-pull, rapid center column is removable, which permits a minimum height of 4.9". 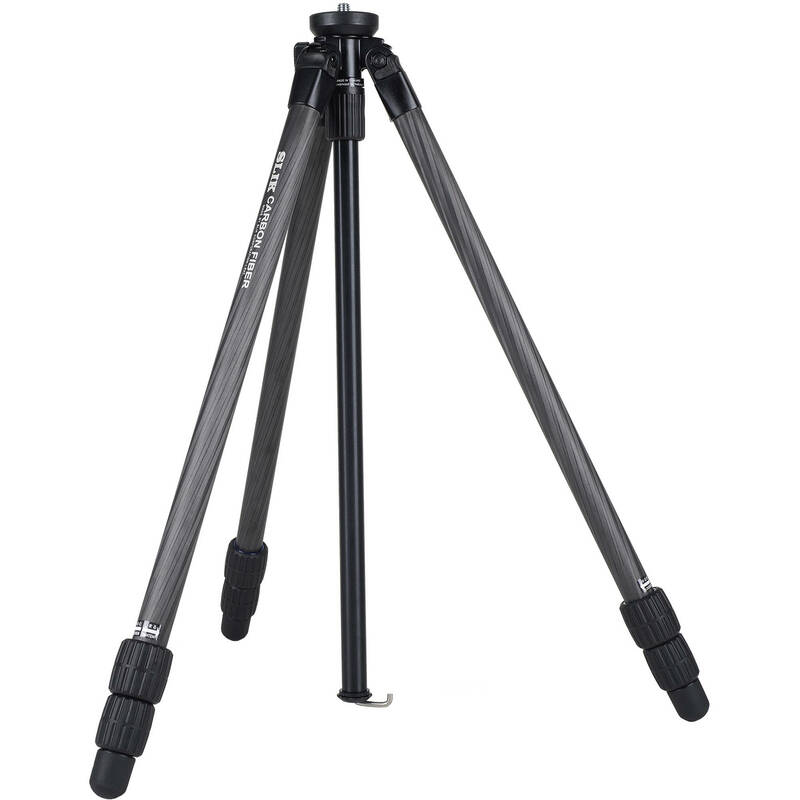 The SLIK Pro CF-633 Tripod provides a maximum height of 48.8" and 64.2" with the column fully raised. Tripod heads, cameras, lenses, or sport optics with 1/4"-20 or 3/8"-16 female accessory threads can be directly connected to the reversible mount on top of the tripod's center column. For added versatility, the center column is reversible, facilitating low-angle photography where an attached camera is positioned among the tripod's legs instead of above them. Center column is removable, which allows the tripod to be set at a minimum height of 4.9"
Box Dimensions (LxWxH) 30.0 x 4.75 x 4.75"